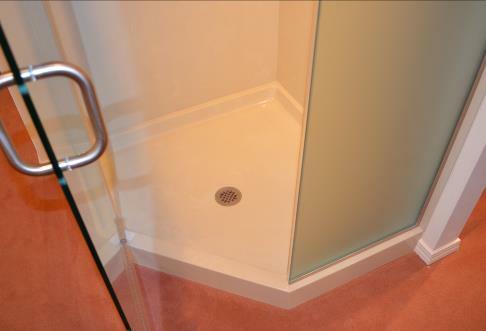 A more spacious corner shower base. 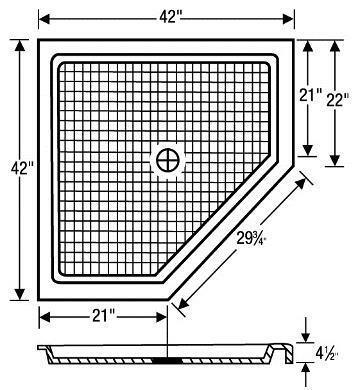 42" x 42" x 4.5"
It features a textured slip resistant pattern on the floor surface. Cast Wt of Base: 165 lbs.